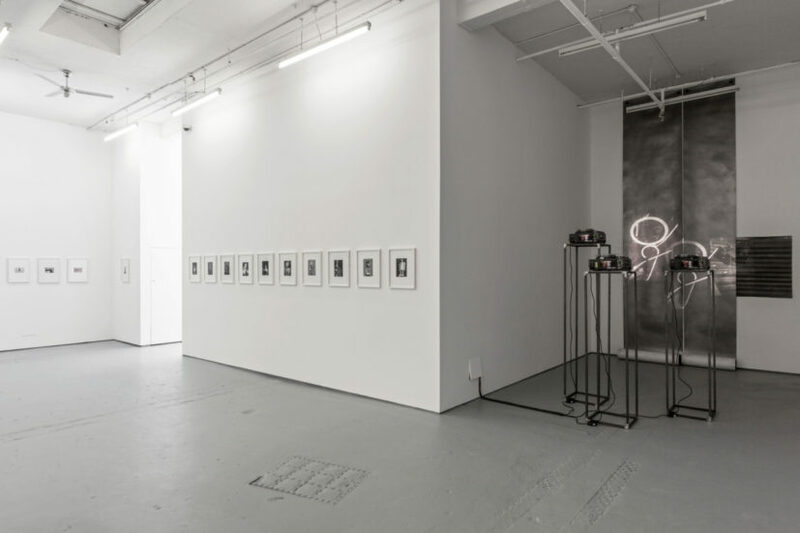 Double Take, installation view, Drawing Room, 2016. Courtesy Drawing Room, photo: Lucy Dawkins. I will take it as read that you can find your way to the ‘big beasts’ of this week’s celebration of all things photography in London. Photo London has landed at Somerset House for a second year and is a chance to see some extraordinary original prints from masters of the early years of the medium, as well as getting a handle on current tendencies. Tate’s Performing for the Camera and Painting with Light exhibitions examine the medium through the lens of an allied practice, while the V&A has Paul Strand and the Science Museum gives us Fox Talbot: Dawn of the Photograph. But you know all this. Today I want to direct your attention away, across the river to Bermondsey and a superlative, concise little show at the Drawing Room. This is in fact a collaborative project in partnership with The Photographers’ Gallery and examines the way some artists have combined the media, probing the limits of each one. The straightforwardness of the proposition, however, belies the wonderful subtlety of the work that has been selected. 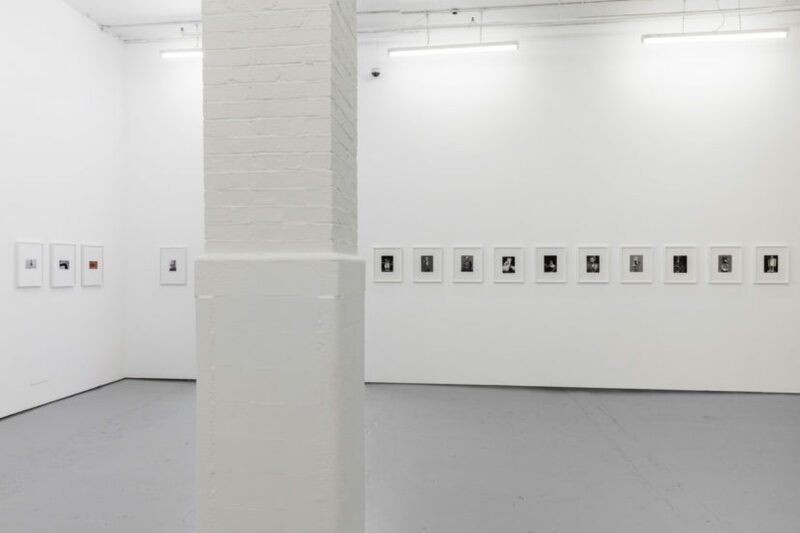 At the heart of the show is the proposition that photography and drawing share an ‘indexical’ quality – that the photosensitive surface parallels the blank sheet of paper, that the play of light and dark, and the recording function of both link them intimately. In her essay about the show Kate Macfarlane cites the story of the origin of western art, as described by Pliny the Elder in Historia Naturalis, circa AD77. The story relates how a young woman’s lover comes to visit her before he departs for battle. In the night, as he sleeps, she draws around the outline of his shadow on the wall. When he does not return from the war, grief-stricken, the young woman has only the image as solace. 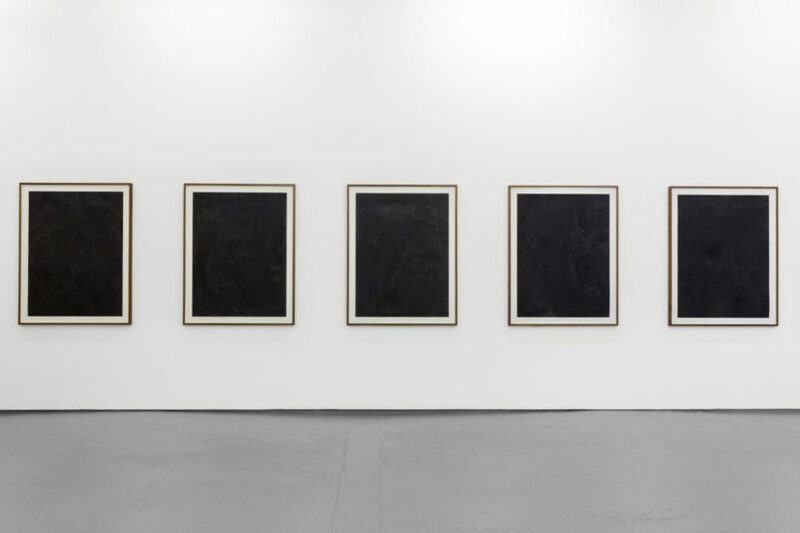 The story links drawing to the play of shadows, light and dark, as well as to the act of recording presence and absence. It is a poetic, as well as an intellectually fertile set-up for the show. There are six artists in the Drawing Room show, some well-known, others who I confess are discoveries. Circling the room from the left, the first group of works is by the American artist and philosopher Thomas Zummer. The ten works are from a much larger series of portraits of robots. Rather than fictionalised creations made for movies, or toys, Zummer’s robots are a compendium of our attempts to create functioning automata in our own image. Existing somewhere between the human and the non-human, the robots have been created with attributes that give them character. His drawings are based on photographs of the robots – either ones taken by the scientists working with them, or his own snapshots. All a uniform 35.2 x 28.2cm, the drawings are densely worked so that the surface is incredibly compelling close up. Zummer begins each one by creating a ground with pure graphite, working the powder into the grain of the paper and then sanding it back, using a range of means to lift the substance in order to recreate the tonal gradations of the original photograph. Through a process of addition and removal of graphite he mimics the light and dark of the source image. A wonderful set of photographs by Tacita Dean record the slightly obsessive marks drawn by the painter Giorgio Morandi to fix the position of objects for his famous still lifes, and alongside Margarita Gluzberg’s new work shows abstractions of shop displays that are projected onto graphite screens. 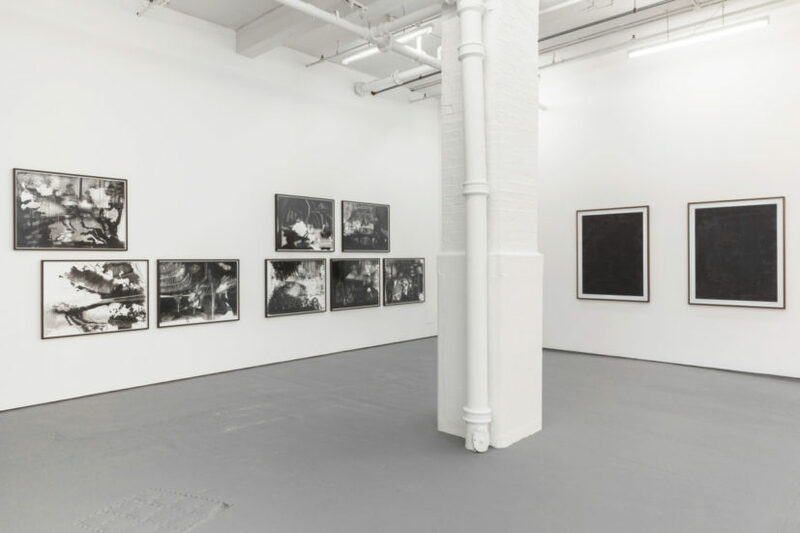 There is a great group of work by Matt Saunders, Josh Brand and Dove Allouche, a Paris-based artist whose work has not been seen in London before. Allouche makes work that combines lead pencil, silver oxide ethanol and pigment on paper. 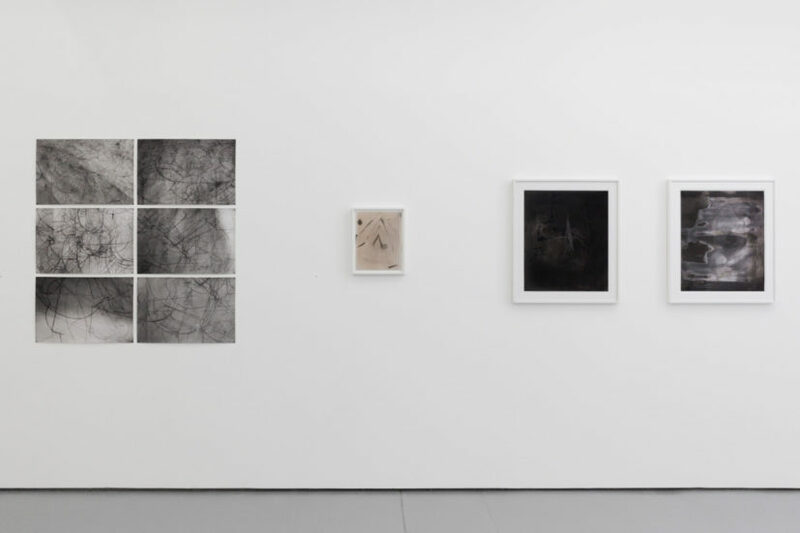 Always focused on subjects from the natural world, the broodingly dark group of works at Drawing Room are vastly blown-up images of the efflorescence of mould on the surface of vintage photographic prints. The Spores series all have a seductively silk-velvet quality, a black-in-black density to the creation of an image that appears abstract but is in fact figuration. Conceptually, they engage profoundly with both drawing and photography. I would definitely like to see more of this artist’s work. Before you make your way back north of the river to catch The Photographers’ Gallery’s half of Double Take, do drop in to see one of the other major events of the week: the second show at Damien Hirst’s Newport Street Gallery, a solo show of work by that other 90s bad boy, Jeff Koons. The Photographers’ Gallery exhibiting artists: László Moholy-Nagy, Curtis Moffat, Běla Kolářová, Anna Barriball, Jolana Havelkova, Lisa Junghanß, Nancy Hellebrand, Pierre Bismuth, Marcel Broodthaers, Richard Forster, Paul Chiappe, Jiří Thýn.